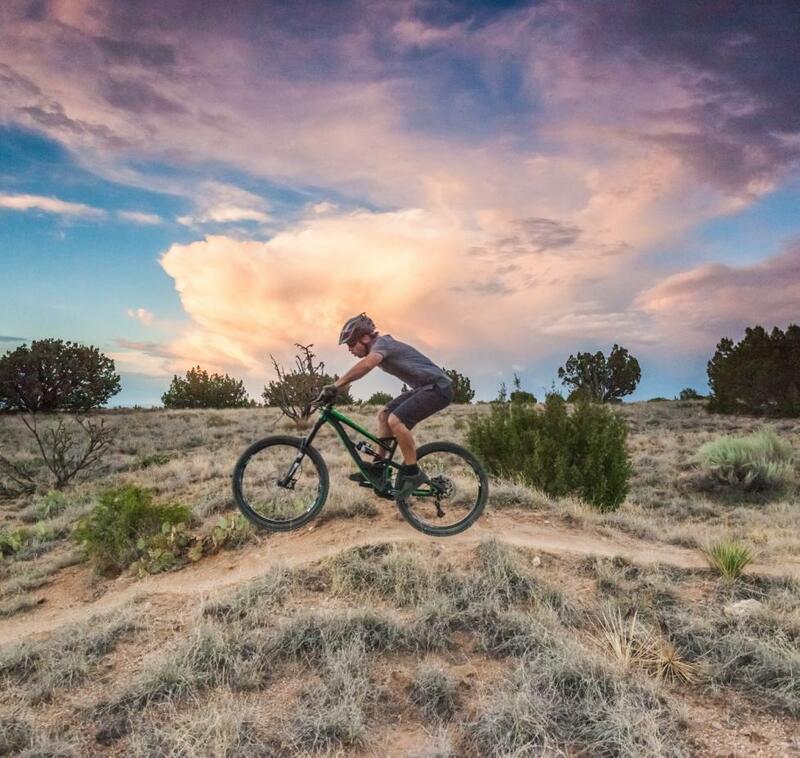 With an average of 310 days of sunshine each year and only 9 inches of rainfall annually, Albuquerque is the perfect place to get outside and enjoy the great outdoors! Not only is the weather great, but there are so many things to do you'll be ready to come back as soon as you leave. Plus, the natural landscape is the perfect backdrop to a unique experience you will never forget. Albuquerque is synonymous with great weather and the spring and summer seasons are no exception. The high desert climate with very low humidity makes temperatures comfortable, with spring-time average highs around 69 degrees and average daily lows around 44 degrees. Summer’s daily highs are around 89 degrees and lows are around 64 degrees. Although temps will be more comfortable due to the area’s low humidity, be sure to wear plenty of sunscreen as the average elevation is more than 5,000 ft., and drink plenty of water to stay hydrated so you can take advantage of all that the destination has to offer. 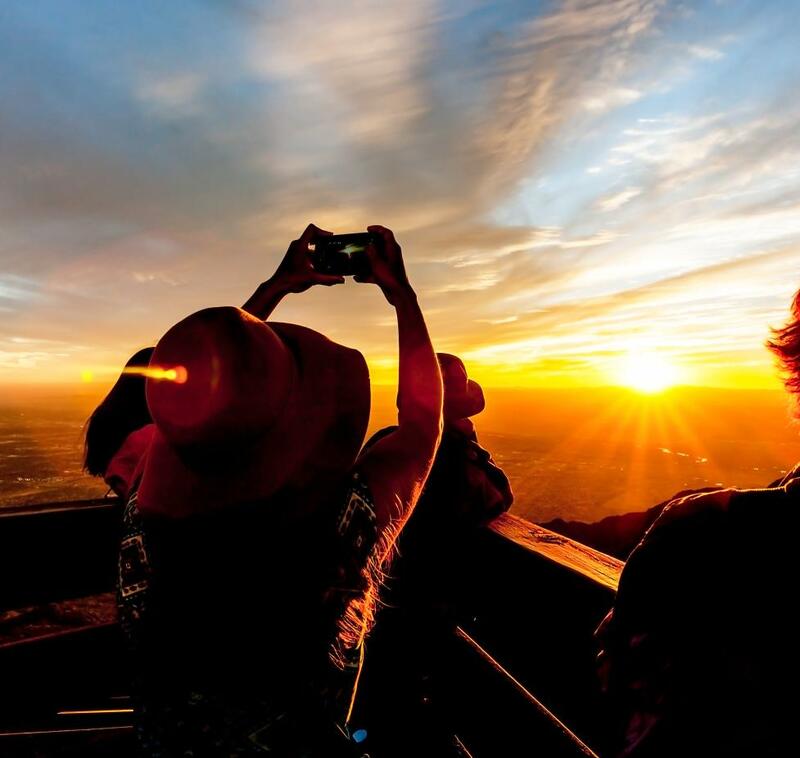 A great place to start an outdoor adventure is at the Sandia Peak Tram, which travels 2.7 miles from the base of the foothills northeast of Albuquerque to 10,378-feet in elevation. It is the longest aerial tram in North America! The tramcar is suspended over rugged boulders and rocky mountain landscapes and ascends the mountain in about 15 minutes. In the distance one can see the city, extinct volcanoes, deep rugged canyons and more than 11,000 square miles on a clear day – a spectacular view! The Sandia Mountains provide excellent terrain for hiking and biking in the spring and summer. The Petroglyph National Monument, with more than 20,000 etchings carved in stone, provides a variety of hiking opportunities from basic, nearly flat hikes, to moderate hikes of several miles. The Paseo del Bosque Trail, running for approximately 16 miles along the Rio Grande, winds through mature cottonwoods, wetlands and ample open space where roadrunners, lizards and coyotes can often be spotted. The Rio Grande Nature Center, with more than 260 species of birds, offers more than two miles of trails and a sense of isolation and tranquility. The Elena Gallegos Picnic Area at Simms Park offers 640 acres of trails and a nature preserve. Did you know that Albuquerque is the Hot Air Ballooning Capital of the World? It’s the perfect place to embark on a truly memorable balloon ride with superb ballooning conditions in the spring and summer. More than 300 resident balloonists (more than any other state) fly hot air balloons year-round and for long periods of time and local hot air balloon companies provide rides for visitors on a daily basis. The Albuquerque area is also home to many award-winning public golf courses and offers unique scenery, including rocky mountain peaks, slumbering volcanoes and the meandering Rio Grande. With affordability to provide unbeatable cost-to-quality value and 14 public and private golf courses in varying levels of difficulty, you’re sure to find a course that you’ll love! See what Luxury Travel Magazine recently had to say about golf in New Mexico. 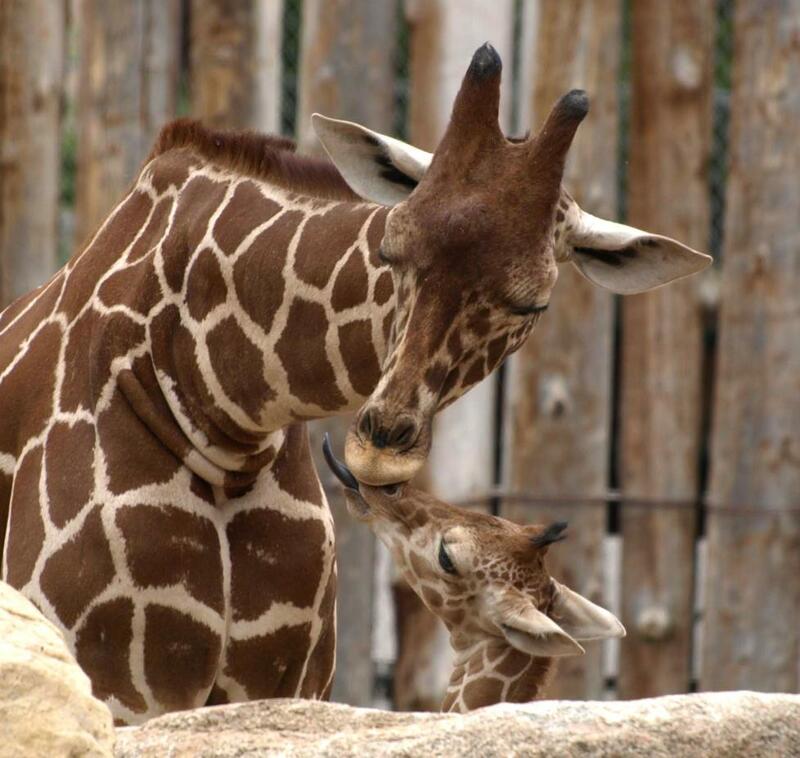 Albuquerque is possibly the best family vacation destination, from the ABQ BioPark Zoo, Aquarium and Botanic Garden to amusement parks and museums – there’s something for all interests. 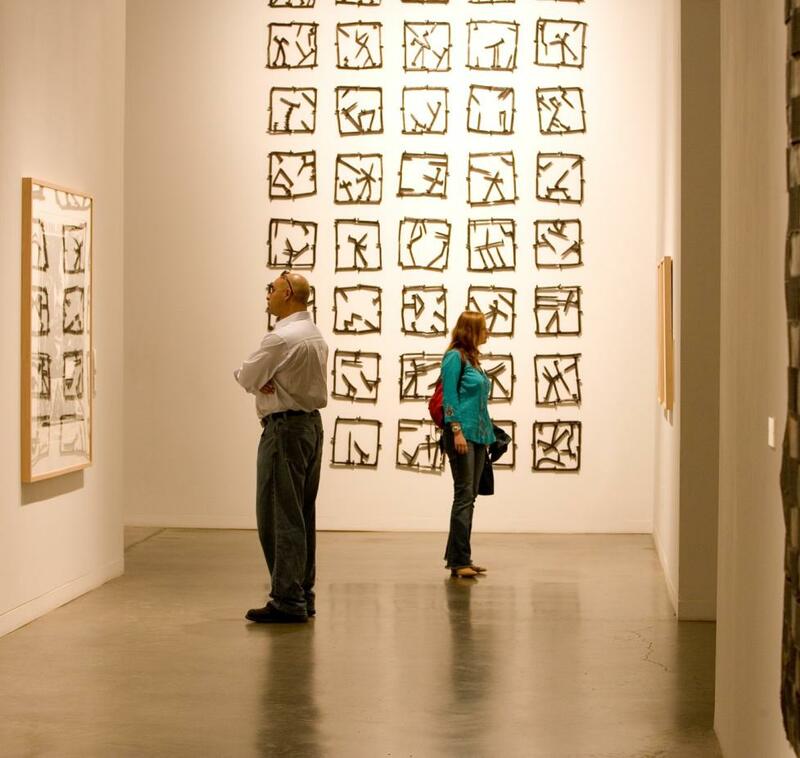 Whether you’re traveling with the kids or you’re just young at heart, there’s an abundance of family-oriented activities that encourage discovery and make learning fun while taking advantage of our fantastic weather and the great outdoors. Enjoy a night out with the kids at Isotopes Park, considered to be one of the finest facilities in baseball, with chair-back seating and spectacular views. Families can also stretch out on a blanket and enjoy some baseball on a starry Southwestern night. Consider heading to the Unser Racing Museum to learn more about the exciting world of racing. With a host of outdoor trails, walkable streets, and several pet boutiques and daycares, the Duke City is the perfect destination to bring your four-legged friend, too! The city is consistently recognized for our ample dog parks and pet friendly locales. 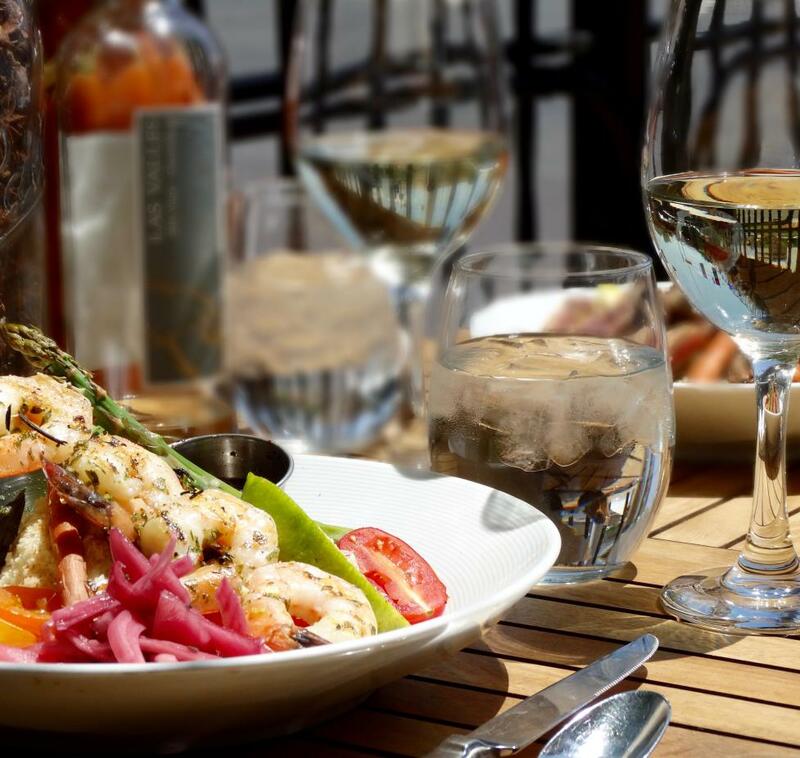 Albuquerque has a rich and diverse culinary scene with many outdoor and patio dining options. If you find yourself more thirsty than hungry, you can make a visit to one of the area&apos;s wine bars or brewpubs and taste some of our award-winning wines and beers.